Non-smokable forms of cannabis have changed the way people perceive the herb now. Cannabis tinctures have had a great influence on that change, pointing to the cannabis plant as medicine that just happens to make a person high - not the other way round. It won’t be an overstatement to say that cannabis tinctures have changed the attitude towards cannabis on a global scale. Before non-smokable forms of cannabis were introduced, people had looked at the plant as a recreational substance that MAY have SOME medical benefits — but only to a limited extent. Today, it’s the other way round. Even those who have opposed the use of cannabis during Reefer Madness are now seeing the bigger picture. Cannabis is a medicine that just happens to make people high and on top of that, its potential side effects are nothing compared to those induced by pharmaceutical drugs. In this guide, we’ll explain what cannabis tinctures are, discuss their benefits, and show you how to make your own tincture at home. Cannabis tinctures are alcohol-based cannabis extracts. Essentially, they’re simply alcohol infused with cannabis. They are made by dissolving cannabis in alcohol and then they’re bottled up with a dropper attached for easy dosing. 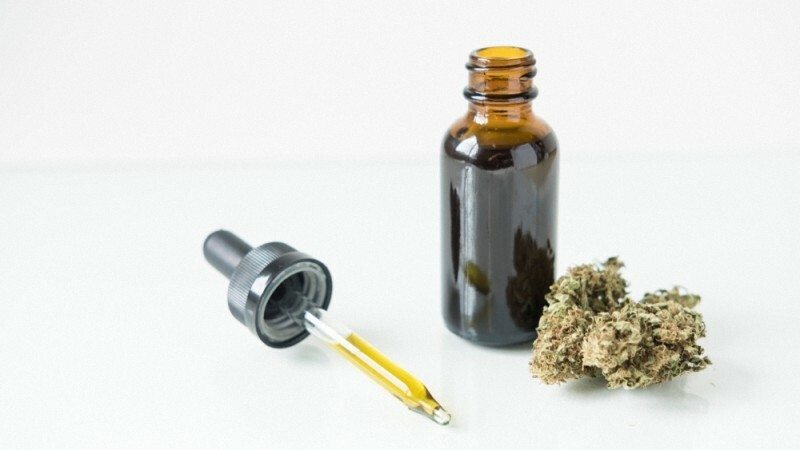 People often confuse cannabis tinctures with cannabis oil because both these products are sold in small bottles and look similar appearance-wise. However, tinctures are made using alcohol only — the oil can be extracted with CO2, alcohol, or olive oil — so putting an equation mark between cannabis oil and cannabis tinctures is technically incorrect. A tincture will contain anywhere from 10 to 30 percent THC and CBD giving you a higher concentration of these cannabinoids than you would otherwise get from an average marijuana strain. While the foggy legal status of cannabinoids in the US might lead you to think that cannabis tinctures are novel products, you couldn’t be more wrong. In fact, tinctures were used as painkillers in the US for almost a century. 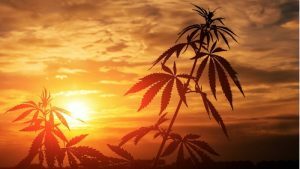 They were even listed among other medicines in the United States Pharmacopeia until the dawn of marijuana prohibition in the late 1930s, when lawmakers led their crusade against cannabis, afraid that the plant would cause the downfall of the US nation. However, the anti-cannabis campaign began to wrap its tentacle over the United States almost a decade earlier, spurred by media baron William Randolph Hearst, who feared the versatile cannabis plant would destroy his own logging and paper businesses in the process. Hearst was successful in his war on cannabis, supported by another prohibitionist Harry J. Anslinger whose propaganda against the plant effectively blurred the distinction between hemp and marijuana. Fortunately, since the 1980s, interest in cannabis as a potential painkiller and sedative has begun to grow once again. 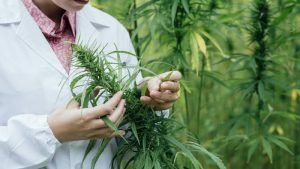 Researchers and pharmaceutical companies started to delve into the secrets of the endocannabinoid system, which made the medicinal qualities of cannabis more understandable. Today, tinctures are one of the most popular ways to administer cannabis. You can have low-potency cannabis tinctures, high potency cannabis tinctures, different volumes — and a whole array of delicious flavors to mask the natural earthy taste of the plant. Even states with poor medical marijuana laws allow the use of cannabis tinctures as the only acceptable form of consumption. Cannabis tinctures have several advantages over other consumption methods, with the most striking one being, of course, the health aspect. But that’s not where the list of their benefits ends. Aside from injection, which isn’t practiced by cannabis users, a sublingual tincture is arguably the fastest way of delivering cannabinoids to your system. Thanks to mini capillaries located under your tongue, the tincture can bypass your digestive tract and enter the bloodstream directly. Unlike smoking cannabis, CBD tinctures can be used openly in public places, so long as your local law allows the use of the herb. But let’s say you prefer to keep this usage to yourself. If so, add a few drops in your morning coffee or blend the tincture into any beverage of your choice. Because there’s no smell, you won’t have to face dark looks from some people in public. Tinctures are also incredibly easy to make at home — we’ll get to that later in the article — and can be used for making plenty of cannabis-infused products such as cookies, candies, brownies, salad dressings, fat-based sauces, and more. Tinctures usually come with a dropper, which makes dosing much easier and more precise. Unlike cannabis edibles, the tinctures are almost calorie-free. A tincture made with high-proof alcohol will contain around 7 calories in each mL. Step #1: Fill the dropper with your dose of CBD and place a few drops beneath your tongue. Step #2: Breath in and out through your nose while holding the tincture for a minute or two in the mouth. You can swish the liquid around just as you would mouthwash. Step #3: Swallow the liquid. The effects of a cannabis tincture largely depend on its cannabinoid content. 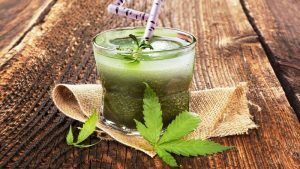 Marijuana-based tinctures will have significant amounts of THC and can make the user high, whereas hemp-derived tinctures contain only trace amounts of the psychoactive cannabinoids and have no intoxicating properties. Still, high doses of CBD tinctures can make you feel very relaxed, sometimes on the edge of being sleepy, so it’s important that you let adjust your body to the dose before driving or operating heavy machinery. Many parents abstain from treating children with cannabis because they are afraid of the psychoactive THC. 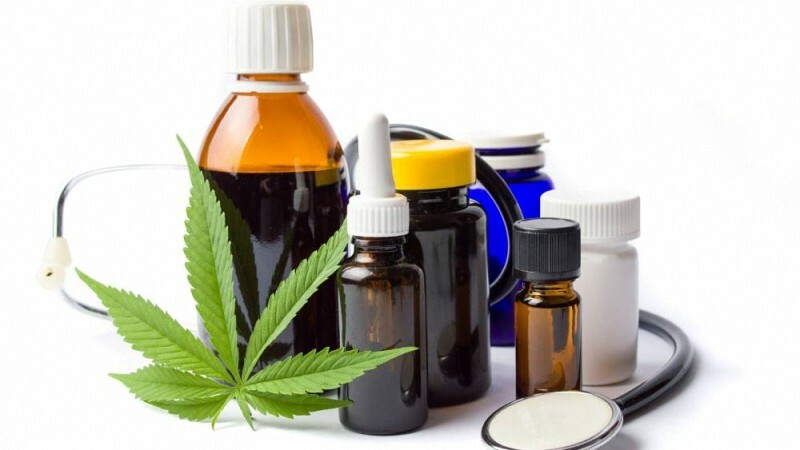 Of course, giving marijuana to a child is still a controversial idea given the potential impact on its developing brain, many parents have turned to hemp CBD tinctures as an alternative to dangerous medications and long periods of hospitalization. Tinctures are the perfect solution for children because they don’t involve smoking or vaporizing the hemp extract, which would be harmful to them. A cannabis tincture will be good for years. If you source your tinctures from marijuana, their potency will degrade over time, as THC is not stable and will break down to CBN, making your product more sedating. Hemp CBD tinctures, on the other hand, don’t have this problem, so as long as you store them in a cold, dark, and dry place, they will remain fresh and potent for a long period of time. Some individuals keep their tinctures going indefinitely, steadily adding more plant material to a mason jar of alcohol. Cannabis has a myriad of medical applications in many fields, and even more of its uses are being discovered on a regular basis. From its potential anti-tumor properties to effective inflammation relief, interest in the medical benefits of the herb is continuously on the rise. How do People Use Cannabis Tinctures? Cannabis tinctures are easy to measure, especially with a dropper. Our recommended starting point is a dose of 1 ml. If you’re new to cannabis tinctures, this will allow you to see whether or not you feel much difference. If you feel happy and relaxed, you can stick to this dose. If you don’t, double your measurement the following day, and slowly build up the dosage until you’re satisfied with the effects. Cannabis tinctures can be mixed with food to create a tincture-infused edible. Similar to adding it to a beverage, when you add cannabis tincture to a meal, it will be absorbed after passing your digestive system. Given this, the effects will need more time to work — around 30 to 90 minutes. You can add cannabis tinctures to an array of foods, including sauces, salad dressings, baked goods, and ice cream. Some cannabis users are particularly impatient when it comes to using tinctures and they choose to sacrifice the increased absorption rate in favor of taking the seemingly easier route. You can swallow the tincture on its own as you would swallow syrup or any other liquid medicine. Or, you can add a few drops of your cannabis tincture to coffee, juice, soda, or any other beverage you like. Similar to adding it to food or making edibles, when you add the tincture to a drink, it will have to pass through the digestive system. As mentioned, this is by far the fastest and the most effective way to take cannabis tinctures. By taking your tincture sublingually, you’ll experience quicker and more potent effects thanks to the absorption route, which omits the digestive system thanks to absorbing into the bloodstream via the inner lining of your mouth. Making a cannabis tincture is a simple task. Yes, it calls for a couple of tools and a little bit of precision, but it’s a far cry from rocket science. Take a look at the cheat sheet below and learn how to make your own cannabis tinctures at home. Grind up your cannabis to a fine consistency, place it inside a plastic bag, seal it, and place it in the freezer for at least 1 hour. Next, transfer the ground buds to an oven-safe pan lined with a sheet of parchment paper. Spread the cannabis evenly, cover the pan with foil, and preheat the oven to 235 F. The foil will prevent the cannabis from burning, keeping the cannabinoids and terpenes safe. That’s the general principle when decarbing cannabis. Read our guide on cannabis decarboxylation for more details. Once your weed has decarbed, let the pan cool but don’t remove the foil yet. The pan should be cool to the touch before you take the foil off. Then, transfer your cannabis into a large mason jar and fill the dish with the alcohol. Keep in mind not to go overboard with the solvent — only pour enough alcohol to cover the top of the cannabis. Close the jar’s lid tightly and place it in the freezer to sit for at least one week to a maximum of six months. Two weeks in the freezer should be enough for starters, just remember to shake the jar for one minute every day. Shaking will disturb the plant matter, evenly distributing the cannabinoids in the solution. So, your tincture has already sat in the freezer but you have no idea what to do next. Pour the entire contents of the jar through a double layer of cheesecloth into another glass dish. Let the liquid drip through the cheesecloth until there’s nothing left to collect. This is where you should put on your gloves to prevent the soaked cheesecloth from passing the tincture into the pores. Bottle up your tincture and attach the dropper. There you have it — your very own cannabis tincture! If you buy cannabis in bulk, you can prepare multiple batches and let them sit for different lengths of time to decide which one is the best match. How Do I Store Cannabis Tinctures? According to the Herbal Medicine-Maker’s Handbook by respected herbalist James Green, cannabis tinctures can last for several years if stored properly. By proper storing we mean keeping them in a cool, dark, and dry place. As for the THC tinctures, we suggest that you store them in the fridge, as prolonged exposure to heat can lead to increased degradation of the medicinal components. 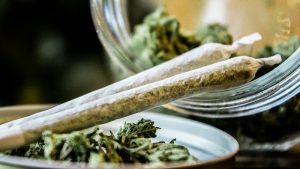 Gone are the times when using cannabis was associated solely with getting high. As CBD is making headlines in the world of medicine, people now have a choice whether or not they want to include the psychoactive THC in the treatment. Hemp-derived CBD tinctures contain less than 0.3% THC, so there’s no chance of getting the weed buzz, making them ideal for both children and elderly people. CBD tinctures come in different flavors, so even if you don’t like the peculiar, earthy taste of cannabis, it’s now possible to bypass this inconvenience. Plus, when compared with other cannabis-infused products, CBD hemp oil tinctures are among the most affordable. Cannabis tinctures have been used for centuries, being listed among other medicines in different pharmacopoeias across the world. 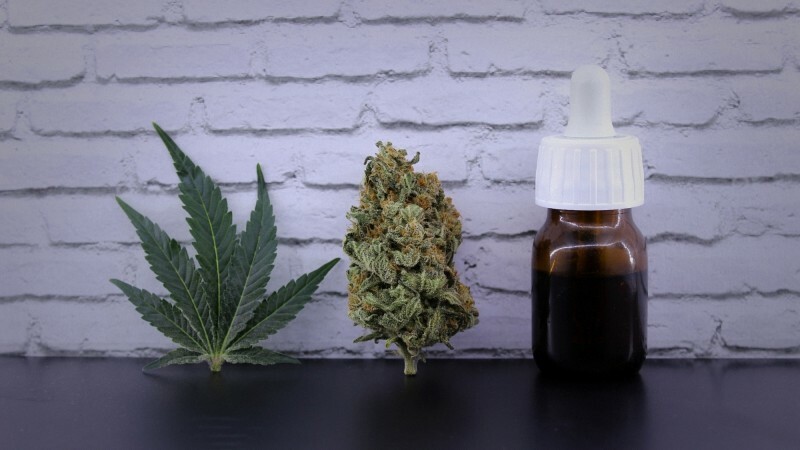 Today, tinctures have received their second life as cannabis legalization is making progress in the United States, with more scientific research pointing to the medical benefits of this particular cannabis format. If you’re curious about cannabis tinctures, we encourage you to prepare your own cannabis-infused medication and share your results with the community in the comments below. We cannot help but wish you luck with your herbal experiments! Oláh, A., Tóth, B. I., Borbíró, I., Sugawara, K., Szöllõsi, A. G., Czifra, G., Pál, B., Ambrus, L., Kloepper, J., Camera, E., Ludovici, M., Picardo, M., Voets, T., Zouboulis, C. C., Paus, R., … Bíró, T. (2014). Cannabidiol exerts sebostatic and anti-inflammatory effects on human sebocytes. The Journal of clinical investigation, 124(9), 3713-24. Tambaro, S., & Bortolato, M. (2012). Cannabinoid-related agents in the treatment of anxiety disorders: current knowledge and future perspectives. Recent patents on CNS drug discovery, 7(1), 25-40. De Mello Schier, A.R., De Oliviera Ribeiro, N.P., Coutinho, S.D., Machado S, Arias-Carrion, O., Crippa, J.A., Zuardi, A.W., Nardi, A.E., Silva, A.C. (2014) CNS & Neurological Disorders – Drug Targets. 13(6), 953-960.